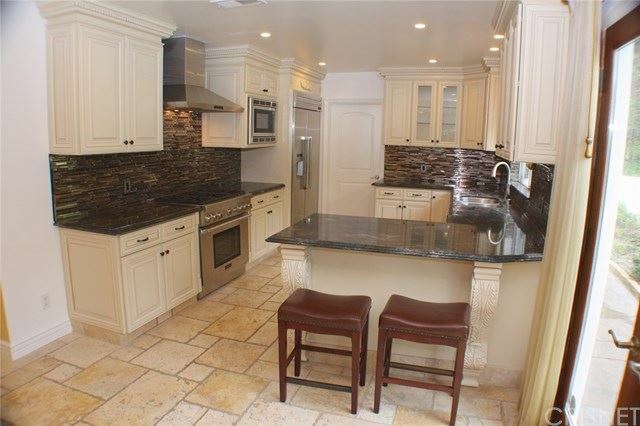 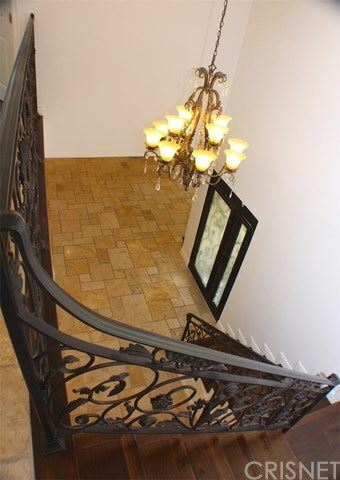 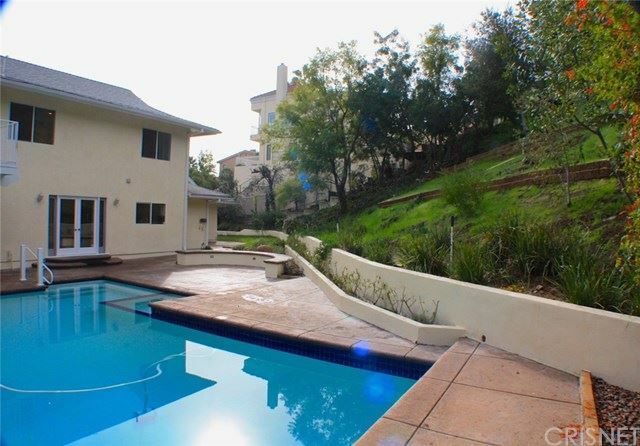 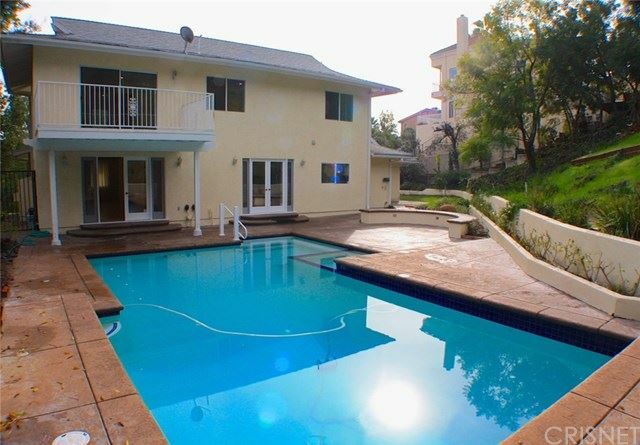 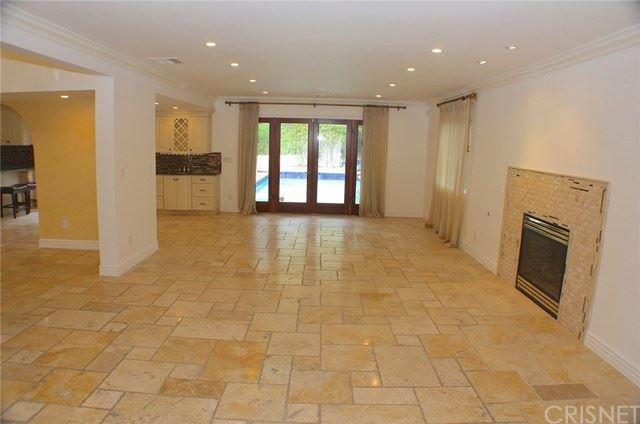 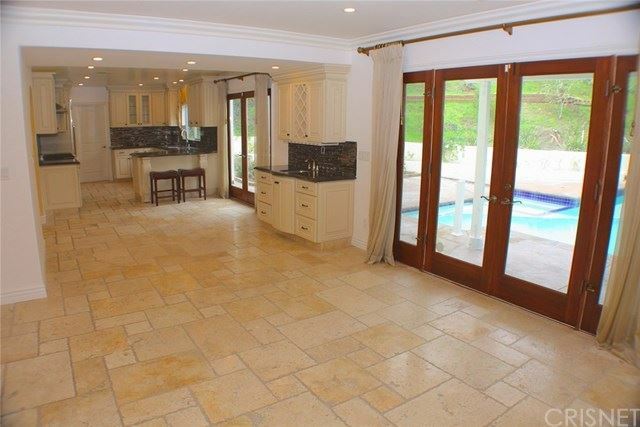 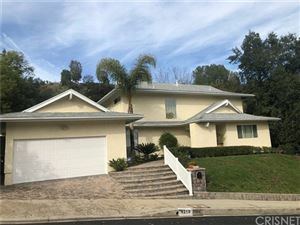 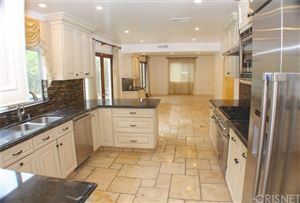 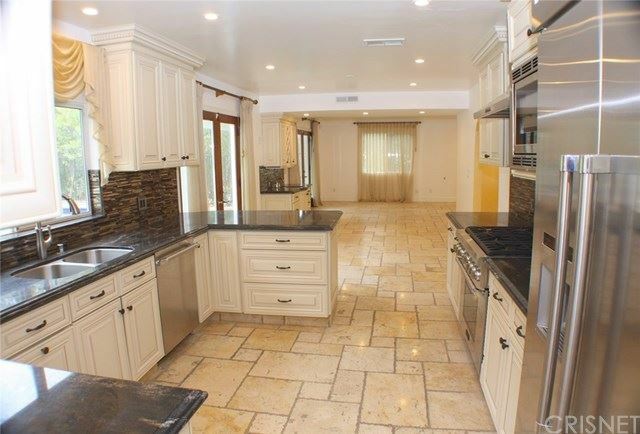 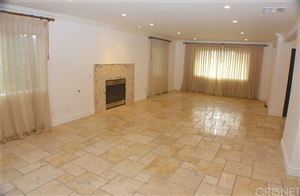 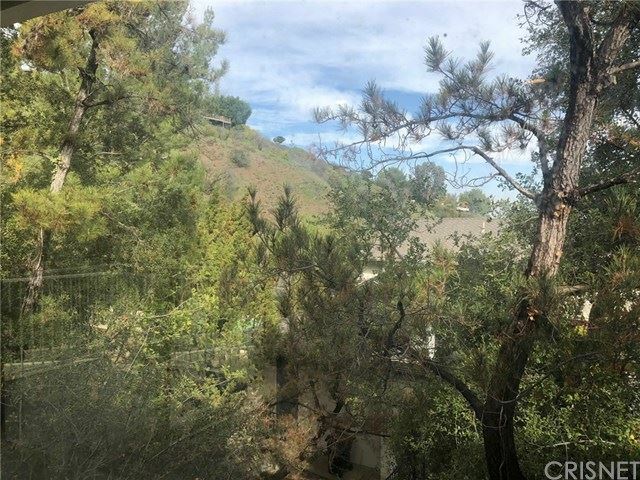 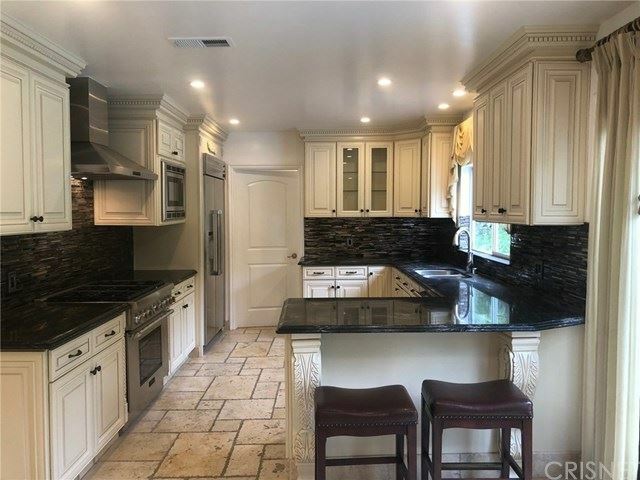 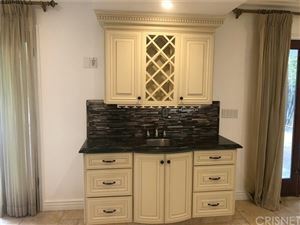 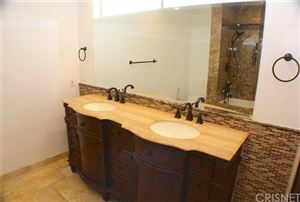 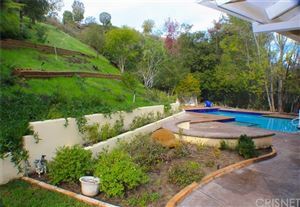 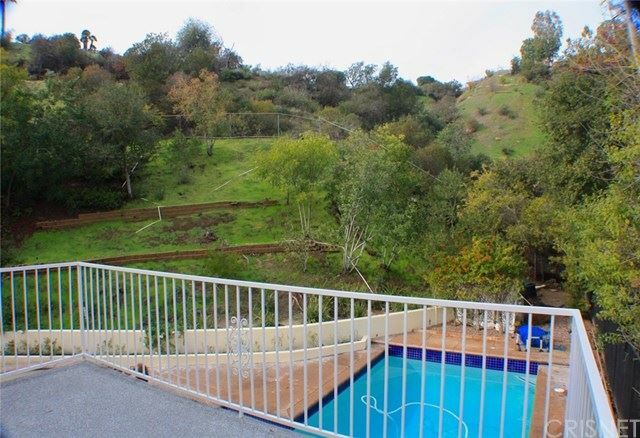 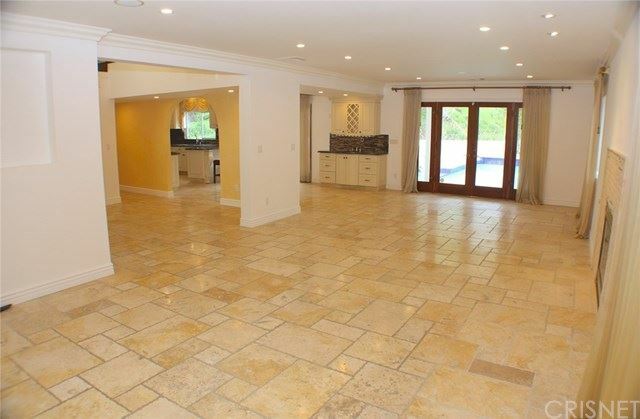 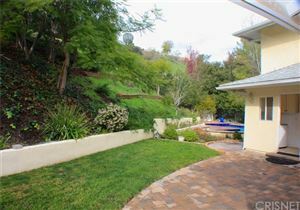 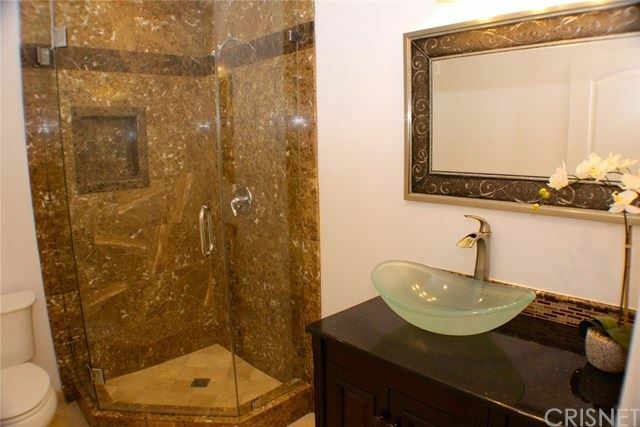 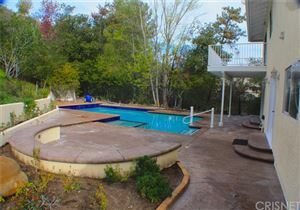 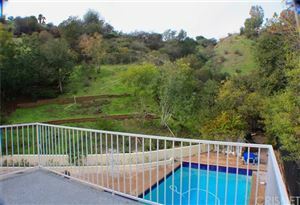 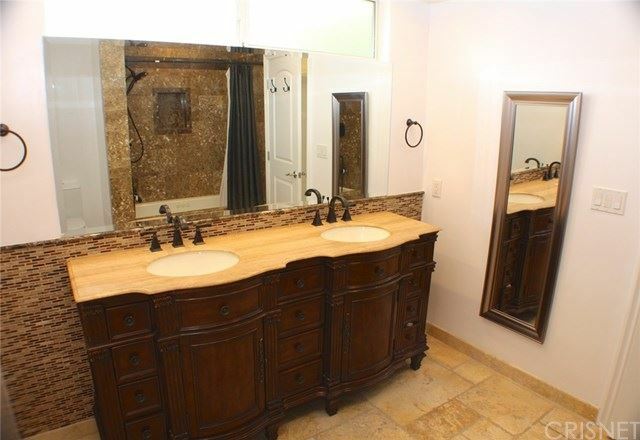 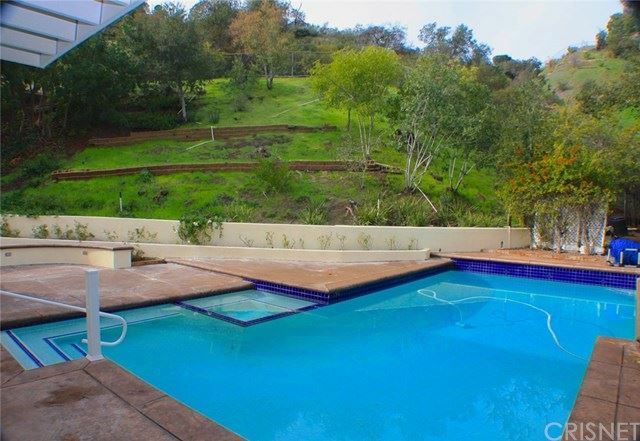 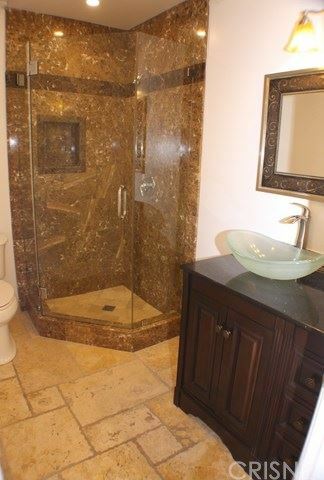 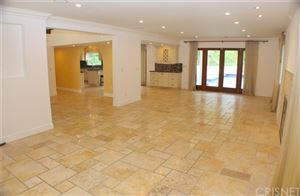 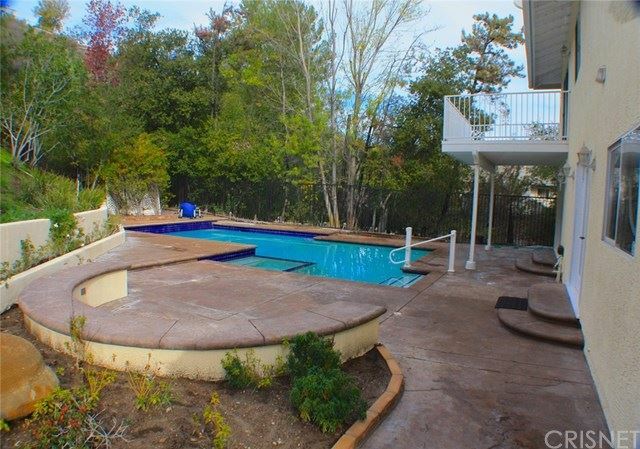 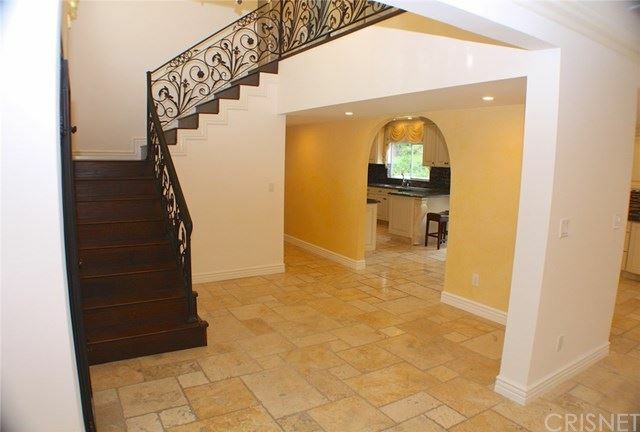 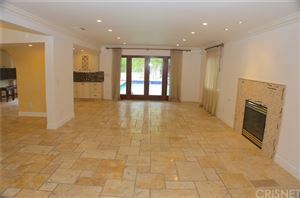 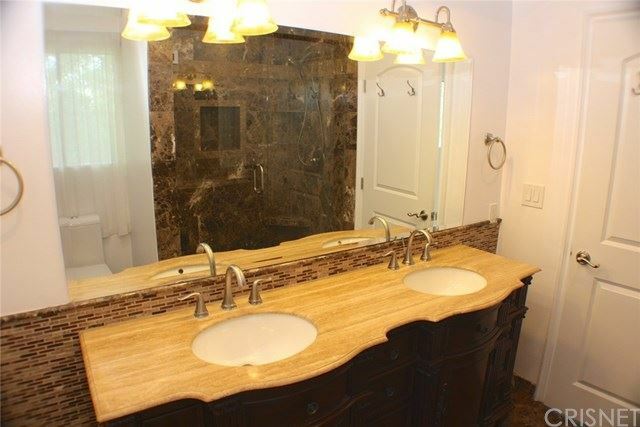 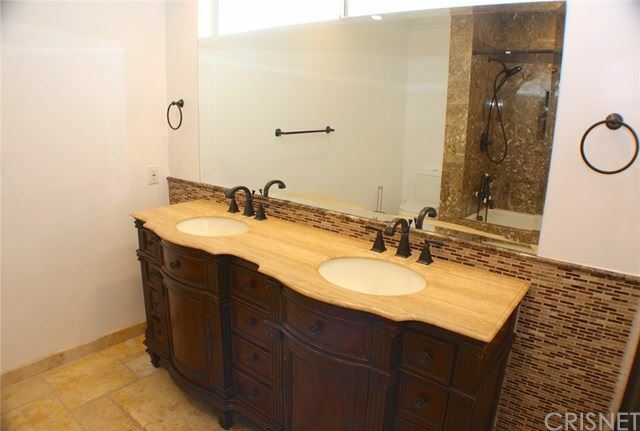 Stunning, totally remodeled luxury home discreetly located high in the hills of Tarzana. 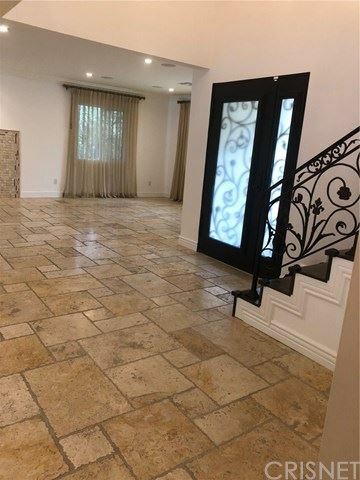 Enter this light & bright interior with soaring ceilings, distinctive travertine flooring, smooth ceilings, and recessed lighting. 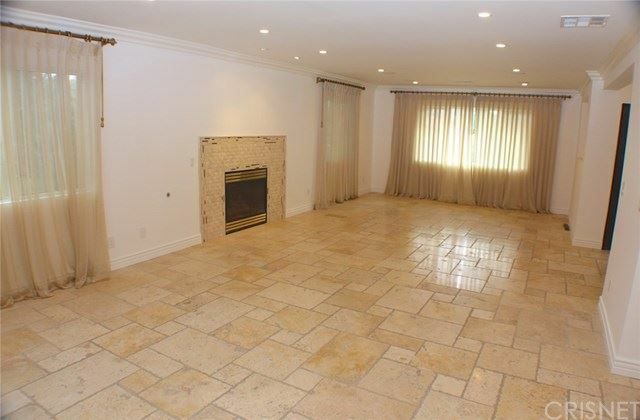 The spacious Living room and formal dining area share the warmth of a beautiful fireplace. 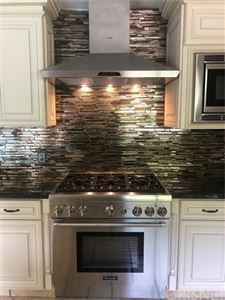 The kitchen features custom cabinetry, granite counters, exquisite tile back-splash, and quality stainless steel Thermador appliances. There is also a downstairs bedroom & beautifully updated adjacent bath. 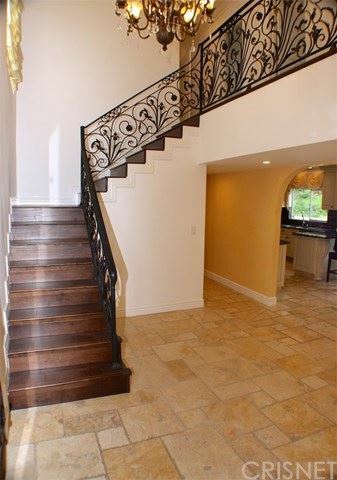 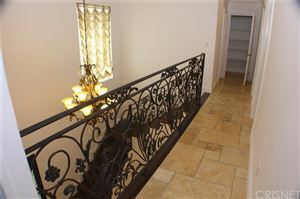 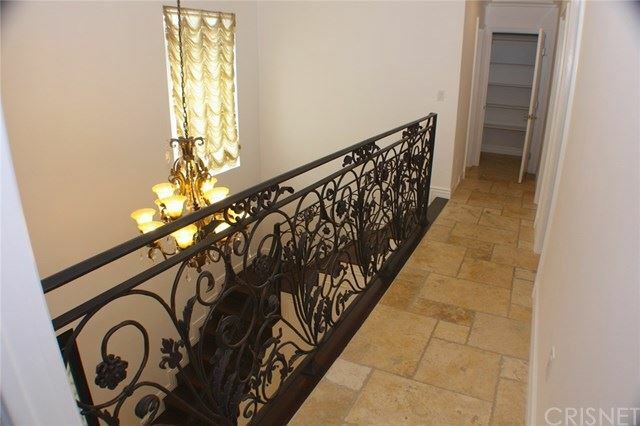 The stairs are bordered by an elegant custom iron rail and adorned in rich hardwood leading to your private master suite offering a large cedar-lined walk-in, luxurious bath, and spacious private balcony overlooking the beautiful back yard and huge salt water pool. Two additional bedrooms and a huge full bath complete the second floor.